Defining the stages buyers move through throughout the entire customer/company life cycle. The Holy Grail of modern marketing is delivering the right message at the right time for the right audience. And it may be more attainable than ever when you approach it through the lens of digital ecosystem marketing. Phil Kotler and Christian Sarkar explain in their latest Marketing Journal article that ecosystem marketing is about understanding your market as a network of participants and being able to influence the right actors at the right time. Ecosystem marketing is not a new framework. What is new is being able to create rich, actionable ecosystem maps from the wealth of digital data that is already at our fingertips. Let’s take a look at this digital ecosystem approach by contrasting it to Clay Christensen’s widely respected “milkshake marketing” research. McDonald’s wanted to sell more milkshakes. Despite continuous product improvement, the burger brand could not figure out how to entice customers to consume more of the frozen beverages. Sales remained level. The problem was that McDonald’s was focused on the product—not the job customers would hire the milkshake to complete. As it turns out, McDonald’s milkshakes were not just competing with other milkshakes from Burger King and Wendy’s. They were competing in a wider market of bananas, bagels, donuts—even Snickers bars—to fill the job of spicing up an otherwise boring commute to work while keeping hunger at bay for the remainder of the morning. With this knowledge of the job customers were trying to complete and the wider market they were trying to complete it in, McDonald’s was able to change their strategy and messaging to improve milkshake consumption. What time of day did they purchase a milkshake? What were they wearing when they bought a milkshake? Were they alone or with other people? Did they buy other food with the milkshake? Did they drink it in the restaurant or take it to their car and leave? After determining that about half of milkshake customers came alone, before 8:30 am, wearing work attire, and left the restaurant with milkshake in hand, the team had to do more in-person research, asking milkshake buyers WHY they had decided on a milkshake at that point in time. But mapping digital ecosystems is readily accessible. We all use the internet to seek out solutions to our problems just about every day. We search, and then we visit sites that we think might provide useful resources. Sometimes we end up buying something online (probably not a milkshake). What are people that buy our products are services searching for online? Where do they end up online after searching? How many clicks does it take them to get there? Do they end up making a purchase? The ecosystem maps generated from this data help us to understand the jobs our customers are trying to complete with our products or services. They also give us a deep understanding of the conversations that are occurring about these challenges or jobs, where they are occurring, and the language people use to describe these challenges. For example, a high end retail brand may find that likely customers are searching with terms like “professional looks to stand out without looking flashy” and that they often end up making purchases on a single competitor’s website. The solution could be creating highly visible wardrobe suggestions and outfits tailored to this need and marketing them with related language. Of course, this is an obvious assumption. The brilliance of collecting and visualizing the actual data is that the results may be completely different than what you expect them to be. Brands that have this information at their fingertips through a digital ecosystem marketing model have the required insight to do what McDonald’s did: find their bananas and bagels to broaden their market by about seven times the scale. 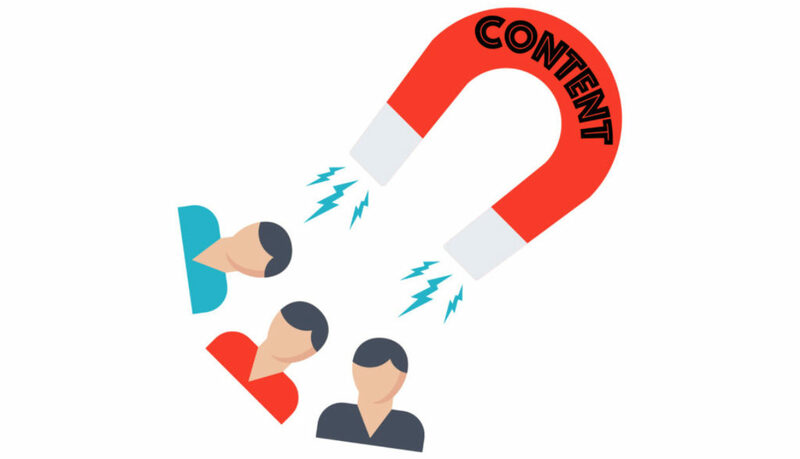 And understanding the language in which customers talk about their challenges or jobs allows brands to cut through the maze of paid and organic search terms to find messaging and content that is genuinely driving customers to engage. Right message. Right time. Right (wider?) audience. This digital version of ecosystem marketing is brand spanking new. Results may still feel a little bit magical. 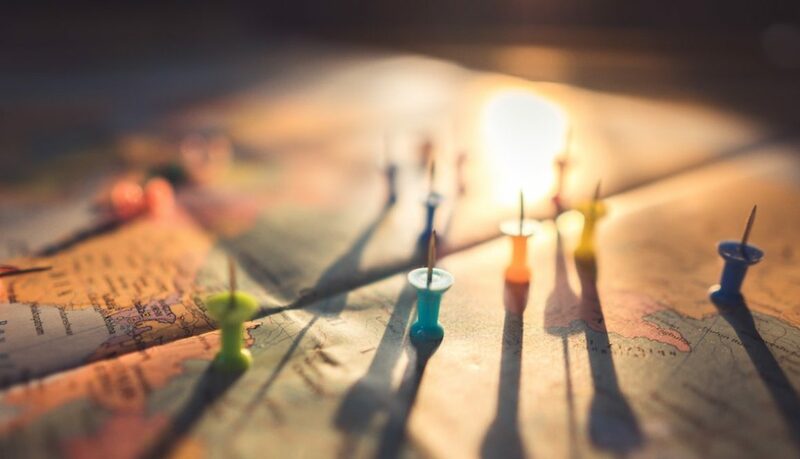 The agencies that can accurately compile digital maps today are pioneering in the space, continuing to optimize both their technologies and their interpretations of the resulting maps. We are lucky to have pioneer Christian Sarkar (and author of the Marketing Journal article) on the Consentric Marketing team, offering his unique expertise to our clients. Interested in finding out what insights your digital ecosystem maps might uncover? Get in touch today. While the industry continues to witness the fall of more traditional retailers (most recently, Sears), there are some key bright spots in the retail market. According to Forrester, the projected growth rate for pure digital purchases in 2018 is $48 billion. The projected growth rate of in-store purchases that begin digitally is $69 billion. From a hard dollar standpoint, the largest dollar growth is from people starting their buyer’s journey online and then buying in a physical store. But the majority of retail brands still approach digital and brick and mortar as their own channel silos, designing experiences for each independently of each other. This creates inconsistencies, annoyances and other roadblocks for customers as they navigate between the two, resulting in a sub-optimal customer experience. Now add mobile to the mix (which eMarketer predicts will represent 74% of digital ad spending by 2020), and the situation is complicated further. Google has concluded that mobile consumers move through their journeys in spurts rather than sessions, and that the “micro-moment” is the new battlefield where brands achieve success or failure. 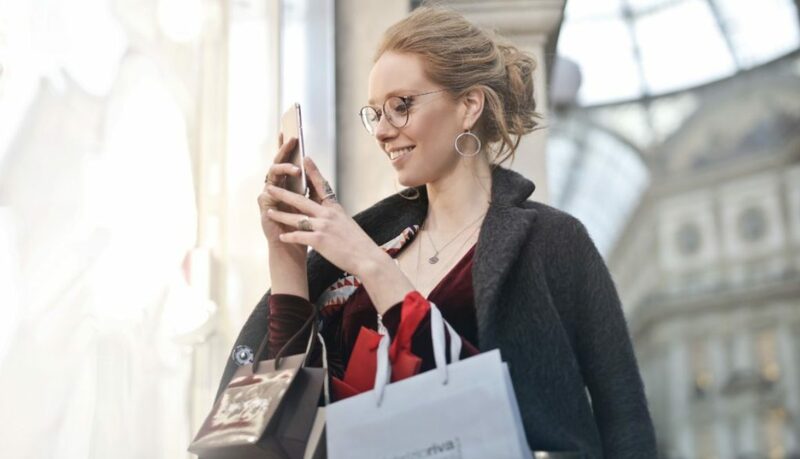 Being customer-centric is not just about doing digital well and doing mobile well and doing the in-store experience well—it’s about understanding these channels together and how they must interact to allow the customer to direct her own buyer’s journey. Thankfully for consumers, some brands are getting it right, and they are the brands seeing continued growth (in spite of the supposed “retailpocalypse”). Here are a few examples. 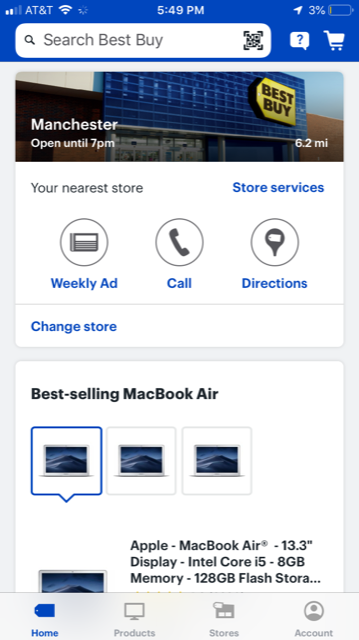 Best Buy gets the credit for the birth of omnichannel marketing and customer centricity because the company understands the critical linkage between digital, mobile and physical experiences. Integration of these channels puts the customer in the driver’s seat—lets customers shop how they want to shop—in a more traditional, linear approach to a purpose or through spurts of activities characterized by micro-moments. Many customers may want to do their initial research online and then visit the store to check out products, ask questions of the Blue Shirts and complete the transaction. But there are also customers that would rather have their TV delivered to their home after transacting in store (instead of lugging that thing out themselves). Some customers want the television NOW—they research options on their mobile app, choose a nearby store with inventory, transact within the app, then pick up within an hour at the store. Others check out products in store, while also comparing reviews and transacting on their mobile. 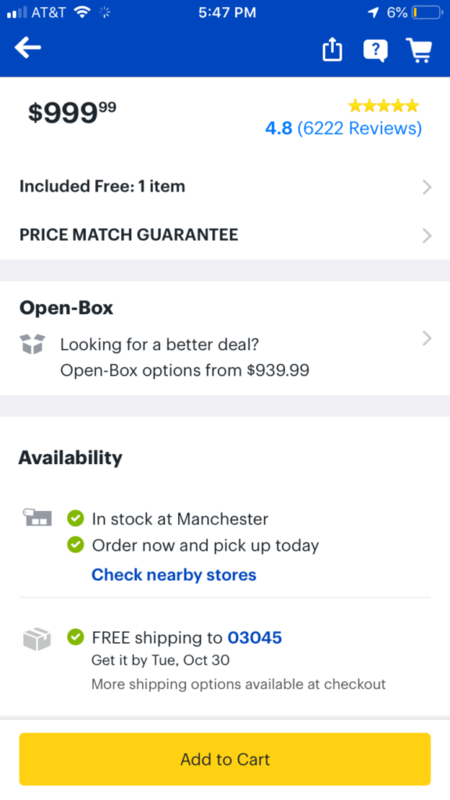 Best Buy’s mobile app encourages visitors to incorporate your local store into your buyer’s journey. Buyer’s journeys are as unique as the individuals completing them, and Best Buy was one of the first brands to figure out the need to enable all of them seamlessly, for a customer-centric, omnichannel experience. Bed-in-a-box retailer Casper was born as a digital company, but the brand has seen so much success that they recently announced the opening of 200 physical stores. Casper’s digital experience is excellent, providing educational materials in a variety of formats, including text, video, customer reviews. But if you have questions, there’s a chat feature, as well as the option to text with the brand. Both get you a prompt response from a real human that seems to have access to relevant information about your experience thus far. After making a purchase, Casper sends a text message confirmation and tracking information. Got a question? Someone will text you back. Decide to return your mattress? You can do that through text or chat, too. For those that really need to try before they buy a mattress, Casper invites online visitors to “schedule a nap” at one of their physical locations. The nap experience is completely different than a traditional mattress shopping experience, allowing visitors to kick off their shoes and get comfy on beds in semi-private rooms. Sales associates are there purely to answer questions and assist customers, not sell. You can buy a bed at the location if you’d like and take it home that day, but most buyers go back online to order at their leisure. From text messaging to nap rooms, the variety of features and experiences Casper has implemented make it easy for consumers to accomplish what they what to, throughout the buyer’s journey, in the channels they choose to interact in. Both the Bonobos mobile app and the brand’s website (where you can speak with those ninjas via chat seven days a week) encourage visitors to make an appointment to visit the store. Visitors can make appointments for wardrobe overhauls, quick fittings and for grooms’ shop fittings, all featuring one-on-one attention to help you find just what you’re looking for. The best part of the Bonobos experience? You can start shopping online, and when you subsequently make an appointment to visit a store, the store associate can review your profile (style, preferences, sizing, etc.) to make the best possible recommendations when you arrive. Now, that’s some omnichannel integration. The Bonobos website uses prime home page real estate to encourage store visits. What brands like Best Buy, Casper and Bonobos understand is brick-and-mortar retail is not dead. Physical stores play an important role at certain stages of the buyer’s journey. Retail locations that create experiences that cater to customer needs at these stages of the journey are valuable to the customer and increase ROI—rather than eating away at profits as a financial liability as more traditional retailers have experienced. But all three of these brands have not only mastered an individual channel or two, they have mastered connecting them together to benefit the customer. They allow and encourage customers to direct their own buyer’s journey, removing roadblocks, inconsistencies and other annoyances to provide a truly customer-centric, omnichannel experience.